When you are travelling on your own a good way of hooking up with other with other solo travellers is by undertaking some activities when you join up with a group. This is a great way of meeting like minded travellers. We have complied a list of activities that land themselves to being sociable. Surfing is cool and many beach resorts around the World offer some kind of surfing tuition. Surfing is a great sport for keeping fit too and is just the best fun when you start to get good at it. Surd destinations are not limited to hit countries either. Some lesser known surf spots that are great for beginners include the South west of England, Northern California and New Zealand. 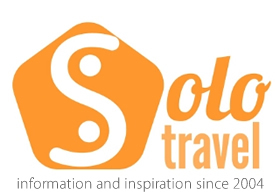 Classic solo traveller destination with a great surf scene include Bali, particularly the area around Kuta beach,while being a little tacky its also very cheap place to hook up with a surf school. Yoga is very popular throughout the world these days and is another way travellers can find like minded folk while overseas. Yoga retreats often do packages where you can pay one fee and have accommodation and food included in your classes. Yoga is fun for all ages and is very good for your physique and mental well being too. Popular spots for yoga retreats include Portugal, Ubud in Indonesia and of course the home of Yoga, India, particularly the south of the country. Popular all over the world, walking is an excellent way for independent travellers to meet up in groups. From Everest base camp treks and walks up Kilimanjaro, you really have the entire world to explore this way. If you don’t fancy walking up mountains you also have cultural walks such as the Camino Del Santiago in Spain. Destinations such as New Zealand have awesome independent walks where you walk hut to hut and stay in very sociable bunk houses. These can be undertaken individually as well as in paid for tours, e.g. the Routburn and Milford both have packaged group walking for solos. Group tours to see wildlife are particularly popular with solo travellers and there are a number of different countries and continents where this can be carried out. Africa – Obvious choice with the ‘big five’ safari trips to Southern Africa. You also have the Gorillas of Central Africa and the great migrations of the Serengeti. Lots of tour companies operate out of Africa. In Asia you have the opportunity in Borneo and Sumatra to see the Orangutans up close in the rain forests. It is also possible to spot such elusive animals as the Sun Bear and Tiger too although you may want to employ a guide for this. Europe is one of the best places in the World for bird watching. Great wilderness areas such as the Alps, Scotland and the Pyrenees offer the perfect backdrops for bird spotting. Americas – In North America bears are very common, particularly the black, brown and grisley versions, however you may not want to get too close to them and having an experienced guide is a must!